Armin Strom, we already knew him because of his magnificent engraving and skeleton work on some OMEGA watches in the past. Aside his work for other watch companies, Armin Strom has been a watch manufacturer for decades. The Armin Strom collection of watches is simply stunning. Ever since we visited them during BaselWorld 2010, we know that it is not only about decoration and engraving, but about fine watchmaking in all aspects. The design of the watches is very modern, but as you are able to see the perfectly finished movement through the skeleton dials, it also shows their pure love for fine watchmaking. Armin Strom’s collection of watches, based on Air, Water, Fire and Earth, now also features a complete Tourbillon collection. The Armin Strom Tourbillon Water (reference ST13-TW.50) features the ATC11 caliber movement which has been designed and developed in-house in Biel, at Armin Strom AG. This handwound movement consists of 184 parts and has double spring barrels and a 10-day power reserve. The time is indicated decentralized as you can see. Like all other Armin Strom watches (except for some models from their Racing collection), parts of the beautifully decorated movement can be admired through the skeletonised dial. The signature of the brand. 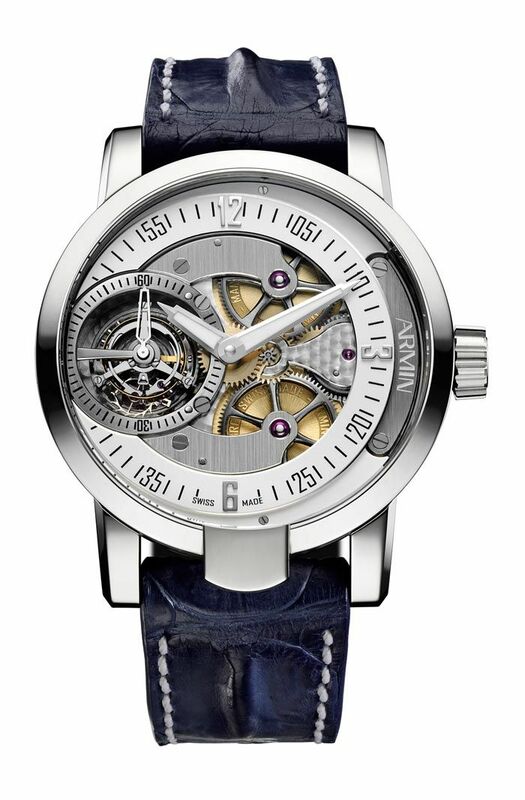 We’ve found a video of Armin Strom’s work on movement decoration and skeletonising, as you can see below.